Is buying a home in Putnam County, NY a popular choice? When talking about buying real estate in Putnam County, NY, the choices can be a bit overwhelming. The search to find a home can vary from private, rural homes on a mountain, to a more central neighborhood of houses with much less acreage. Only a short drive north from Manhattan you will be greeted by an amazing contrast of the natural landscape that is so different from the skyline of Manhattan and our inventory of homes for sale are miles and miles apart. Homes in the area have an ever increasing value making it a popular choice to call home. Putnam County currently offers a variety of condos, co-ops and single family homes for sale to those that venture north of Manhattan. Our houses ranges from the mid 1700’s to mid century modern to the most contemporary in style. Many homes include a large parcel of land, while others are in a more tight-knit style neighborhood and community setting. The choices are many and with our great location, the value is quite obvious. 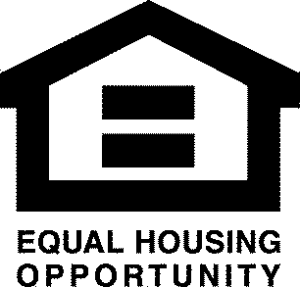 If you are looking to buy a home in Putnam County, NY then you are in the right place. Our HGMLS of all the active listings in the area is the most accurate available. Take a look around at the inventory of homes. Homes are selling and the inventory of available homes disappears quickly. Be sure to sign on for update alerts as you won’t want to miss out. What is it like owning a home in Putnam County? Putnam County and it’s almost 100,000 residents and home owners, enjoy a lifestyle that is rich in culture, history and is a truly beautiful place to call home. The vast amount of real estate from Carmel to Garrison to Putnam Valley and Cold Spring seems to lure urban trend setters north. We are an ideal location for commuters that enjoy living this suburban lifestyle. while offering easy access to The Big Apple, only an hour away by car. A favorite feature of those relocating to the area are farmhouses, stone walls and the fact that most of our homes for sale have a fireplace for a cozy setting during the cooler nights of winter. Our real estate of choice can be found to have either views of the Hudson Valley, or many homes along the Hudson River. The waterfront property on the river has some of the more expensive properties available and pricing doesn’t come cheap. The views are spectacular and the houses begin around $500,000 on the lower end and sky rocket to a multi million dollar abode with every amenity possible. In our more eastern location on Lake Carmel the lakefront properties are much more affordable with beginning pricing at under $250,000 for a small cottage. These homes are the perfect “weekend get-a-way” choice for those looking at a second home. Take a look around at the homes that are currently available in the entire county. When you are ready to narrow down your search we are here to help. Location, price, style and size of your home matter in understanding how to find a dream home. Whether it is your first home, your second, your next, or your last home, we are here to help. There are so many things to consider when it is time to buy a home and our goal is to help streamline the process from start to finish, making every step as easy as we can. Putnam County has close to 100,000 residents living, and owning homes within its borders. It was founded in 1812, and named after a less well known general that served during the American Revolutionary War, Israel Putnam. A quick tour of the county and you will clearly see why so many people love to call Putnam County their home. An easy guess would be that it all begins with the Hudson River, but there are other parts of the county that are equally picturesque. The tenacity of settling near a river and valley explains the migration of the past. Similar is the case with the Putnam County of today, one of the oldest counties in New York. 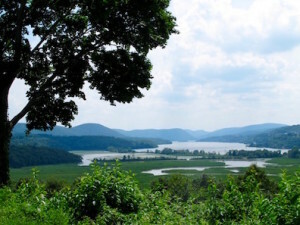 Apart from the clear waters of the Hudson River and the natural beauty of the valley many were inspired to travel to Putnam County to settle. Not really a great location for farms, the area saw less inhabitants until later on. Hilly lands prevented farmers from growing crops, forcing them to continue north or south along the river to find their homes. More recently in the last century Putnam County was considered a great local water source for NYC. A pristine natural watershed gives NYC some of the best drinking water around. The amazing 19th century castles, Putnam County, NY protected heritage sites and historical homes in Putnam Country remind us of the history that is around every corner in the Hudson Valley. It is impossible to drive through the county and not find these gems. A natural religious heritage research center located in Carmel, the Chuang Yen Monastery, the various museums and many other facilities are symbols of the plentiful tradition that Putnam Country has been a part of. Hiking in Putnam County N.Y.
Another perspective and Oh those views! Attention sports enthusiasts! Putnam County takes pride in offering some of the best hiking trails in the Hudson Valley. A bit of research and you will quickly learn that hiking to the Breakneck Ridge Trail is worth the effort. A difficult climb, but the views are worth it!. Sorry, no photos from me at Anthony’s Nose. While I’d love to get up there, I am not up to that level of hiking. The views are amazing and on any given day the trails are busy with locals and tourists making the trek to see the entire Hudson Highlands when reaching the top. It certainly sharpens the senses when hiking, spending time outside in the fresh air. Other hiking trails in Putnam County, NY can be found in Arden Park, Adams Corners, Brewster, Camarda, Carver, Garrison, Indian Brook Falls, Patterson, and Philipstown NY. Be sure to check out the details of each trail prior to your trek. All different levels of hiking trails available. Proper attire is a must for safety. While safety comes first at every level, be sure to bring your camera. Views of the Hudson River are quite amazing and you’ll want to share. Send me your travelogue and photo and I’ll be sure to include you in a blog, or maybe my newsletter. Aside from the Hudson River, there is a wide variety of lakes in Putnam County of all shapes and sizes. Some homes are lucky enough to have land adjacent property with those boasting their own stream or pond. Yes, a most coveted option is to live by the water. Putnam County can be quite peaceful location in which living, working or playing a great place to call home. Many of our homes for sale are used as vacation and second homes. Commuting to Putnam Valley from NYC is easy. We have Metro North that serves as a quick and direct train ride to New York City for many of our residents. Train Stations such as those in Cold Spring and Garrison are popular for a one seat ride to Grand Central Station. Driving on the Taconic Parkway or 684 brings many of the locals to their jobs on a daily basis by car. Many of our residents commute to Westchester County and is rather commonplace. Putnam County is well known by many for vacation homes, and proximity is key. Transportation options in Putnam County are unique. The area is known for the well connected trolley system. Taking the bus around the area or to NYC is not unheard of. Helpful to both residents of Putnam County but also tourists looking to explore the community and our natural exhibits. A more local service but well used by the community exists here in parts of Putnam County. Not to be forgotten is the local PART public transportation. In addition, PART Paratransit, acts as a special needs transportation system with modified vans and regular transportation hours. Great system to have available for getting around the area for those in need of transportation closer to home. There are many things to do in The Hudson Valley and Putnam County, NY. Be sure not to miss The Bradley Playhouse performances, Shakespeare at Boscobel and the Antiques Market-place where you can buy some amazing decorative treasures, furnishings and paintings to decorate your new home. Restaurants in Putnam County are many and they participate in Restaurant Week twice a year. Yum!!! There are clubs and nightlife for those that are looking for something more exciting. Festivals come in all shapes and sizes during the year. One thing for certain, we are never boring. Map of Putnam County, N.Y. Fishing – Or Ice Skating? What can be more fun than ice skating on a lake in the winter, or spending time fishing with your buddies in the summer? Whatever your choice is, Putnam County has options for this too. Lakes Charles, Dixon, Gleneida, Loch Lyall, Quarry Pond, Roaring Brook, Cortlandt, Westminster, Teakettle Spout, all offering both summer and winter options to enjoy the fresh air. Since you are on the Hudson River, boating is a sport not to be missed. Check out how you can go boating even when you don’t own one. Moving to Putnam County is an opportunity of a lifetime. The sense of community established is palpable and pride of home ownership remarkable in every way. A variety of community events and services is enjoyed by the members of the various communities. Neighborhoods, large and small along with the charm of a small village are available and an enjoyable option for those looking.